Have you visited a restaurant lately and been disgusted with the lack of service, smell and hygiene or the messy set up? Well, chances are you would just turn around and look for another eatery. It is no different in our industry. Our industry, though unique, still deals with day to day consumers. The buying decision is affected by how they feel of your operations, and the feel can be very influenced by their judgment of your store appearance and professionalism. The first impression is always important. That is why to be successful we must uphold a professional image. So what must we do and how do we do it? This can usually be the very first impression that determines whether people are drawn into your store or not. You must make sure that your dive centre remains tidy at all times. Yes, it is common that due to the nature of our business we have equipment, boxes and scuba tanks nearby however if you dokeep the floor tidy and a clear path for entry, you’re making it harder for potential new customers to come in. If your operation requires the removal of shoes, make an effort to mark a designated shoe area or no shoe area for customers to walk-in. If you are by the beach where sand and water is an issue, have a broom and a mop nearby so that you can conveniently clean. This is similar to the entrance, but this time it’s the brochures and fliers. Make sure that these are stacked neatly and easily accessible by the potential clients. Fish ID Books, photo albums, compendiums and of these sorts should be placed back neatly where it is. Retail equipment in the showroom should be placed back to the original place and keep it dusted.It is quite common for the reception tables to be piled with business documentations. Get in a habit to put the paperwork where it is supposed to be. Being in South East Asia, you are blessed with rattan furniture easily available with good value for money. This furniture can be occupied by guests who are still wet from activities and would not wet, stain or make it produce a bad odour. Yes, unfortunately bad odour is possibleif your business area is air conditioned and there are constantly wet diving items around. A good air freshener can work wonders! Ah…. Just that word scares people who had left schools years before. To make it more comfortable, make sure it is kept clean and comfortable. Ensure that all Manuals, Training Aids and Documents, are in their proper place and have designated holders for stationary. Similar to the Showroom, be sure there is adequate ventilation and use air freshener ifyou regularly have students in the room that are still wet from their dive. Keep this place brightly lit. Try to only store the equipment back after drying at least to 80%. Check the equipment for wear and tear and place in order of sizing. If you can have a high powered wall fan to circulate the air – the better you’ll be for it. Make sure the floor is cleaned to avoid fungus growth which can be slippery. Organize the tanks, weights and equipment to maximize space and avoid confusion. Keep yourself groomed and dressed appropriately for the activity you will be doing. There are no right or wrong way of how you should dress, neat and tidy will be the best way. Be proud of the establishment you work for and wear the company uniform or clothing with their branding. The above factors are important in keeping a professional image for you and your dive centre, however they are just the beginning. The key is to start and maintain a good habit, a habit that involves keeping things tidy, neat and organized. It may be additional work to do if done periodically but the results are definitely worthwhile. For store Owners or Manager, set it as a rule for your operations. You don’t necessarily need to make drasticpenalties if not carried out – you will be surprised how a simple reward can motivate and commit staff members. Here comes the best part, once your place is neat and tidy, you can then look into decorating your place with Point of Sale Posters, Banner wallpaper and so on. 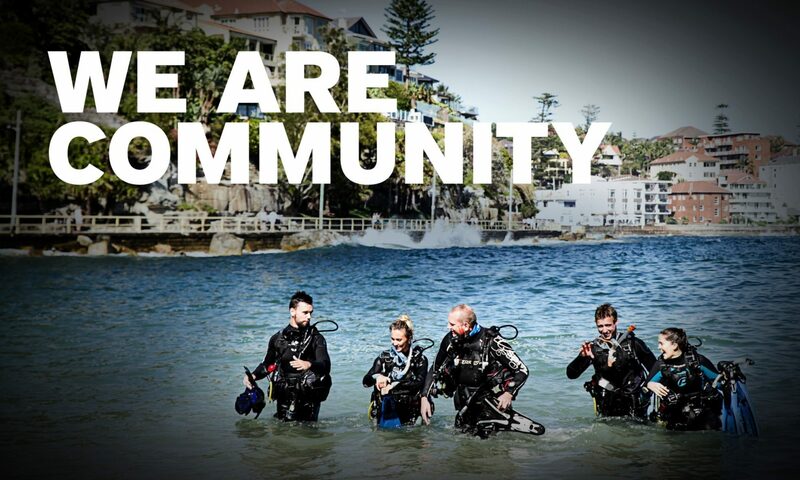 To find out more on PADI Signage and Point of Sales Support, please contact your local PADI Regional Manager. Previous PostPrevious Are You Swimming to End Finning with Project AWARE?